On the Sina Weibo micro-blogging website akin to Twitter, PM Modi said he was saddened by the loss of life and devastation caused by the earthquake in China. New Delhi: Prime Minister Narendra Modi today took to the Chinese micro-blogging platform to express his condolences over a powerful earthquake in China's southwestern Sichuan province that killed 20 people and injured hundreds. On the Sina Weibo micro-blogging website akin to Twitter, PM Modi said he was saddened by the loss of life and devastation caused by the earthquake and added that the Indian people pray for the victims' families and hope those injured will recover swiftly, state-run CGTN TV reported. Prime Minister Modi had opened an account on the popular Chinese site during his visit here in 2015. He has thousands of followers. PM Modi's message of condolences comes in the backdrop of India-China tensions over a standoff at the Doklam in Sikkim section. India and China have been locked in a face-off in the Doklam area of the Sikkim sector for the last 50 days after Indian troops stopped the Chinese People's Liberation Army from building a road in the area. China was hit by two powerful earthquakes this week. 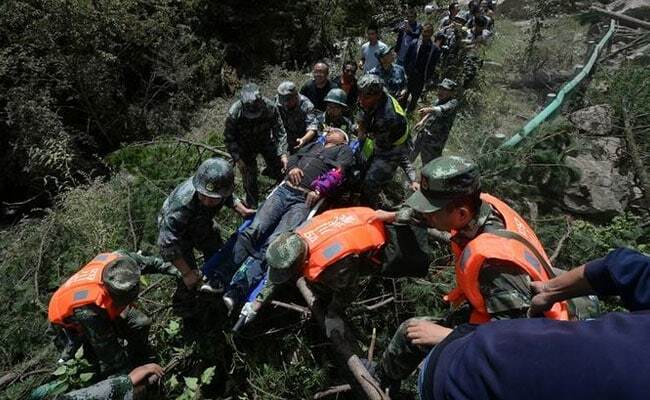 Authorities brought the number of dead in Sichuan province up to 20 on Thursday, with 431 injured, 34 seriously. More than 60,000 people have been evacuated from the area amid continuing aftershocks, state media said. The temblor that struck the popular tourist destination in Jiuzhaigou County in Sichuan province on Tuesday night was followed by another 6.6-magnitude quake yesterday in the far northwestern region of Xinjiang province.